I'm back with another review. 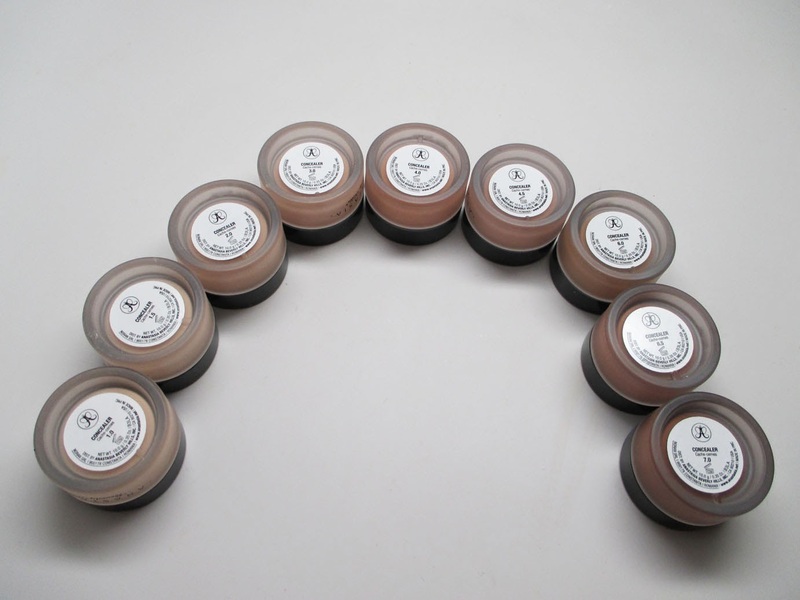 Today I'm reviewing the Anastasia Beverly Hills Pro Series Concealers. I've got tons of swatches for you all! 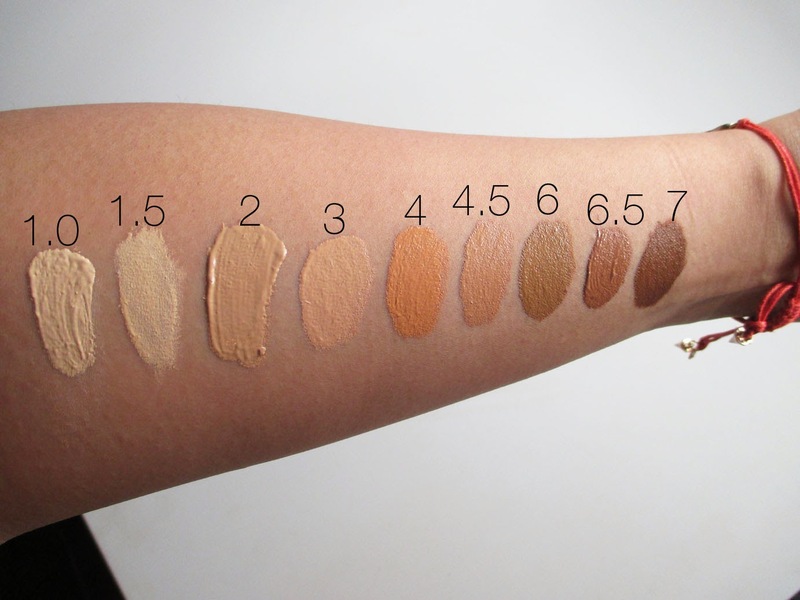 If you're looking for pigmentation, creaminess and lots of colors to choose from you need to check this post. 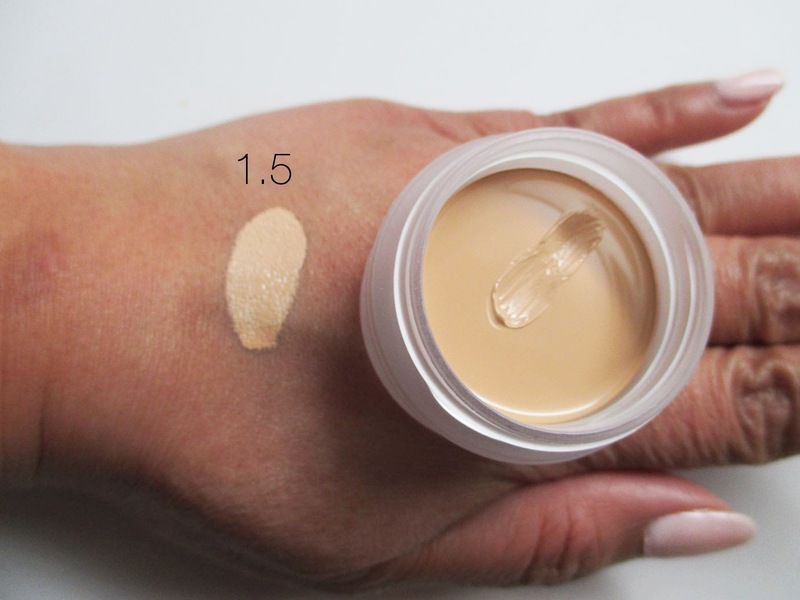 First off, these concealers come in a glass jar with .35 oz of product which is a good amount. Right off the bat, I would definitely recommend using a spatula to scoop out product or a small concealer brush because you don't want to waste product by sticking your finger in it. 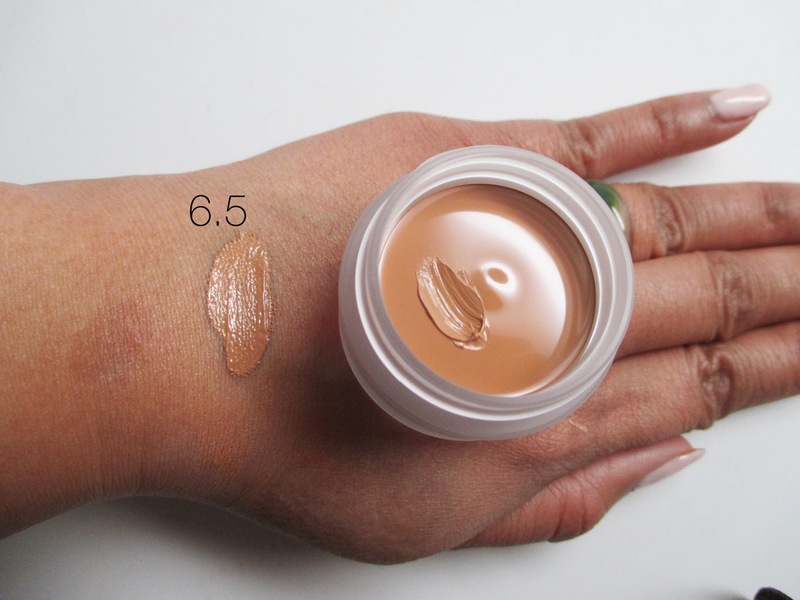 The product is super creamy and very pigmented. A little goes a long way. 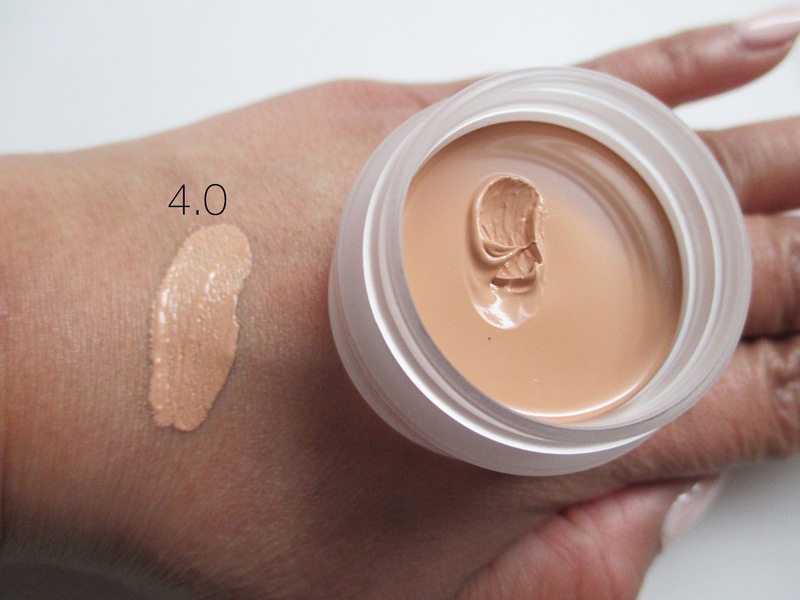 I'd compare this concealer to the quality of professional makeup artist cosmetics, such as Kevyn Aucoin Sensual Skin Enhancer. 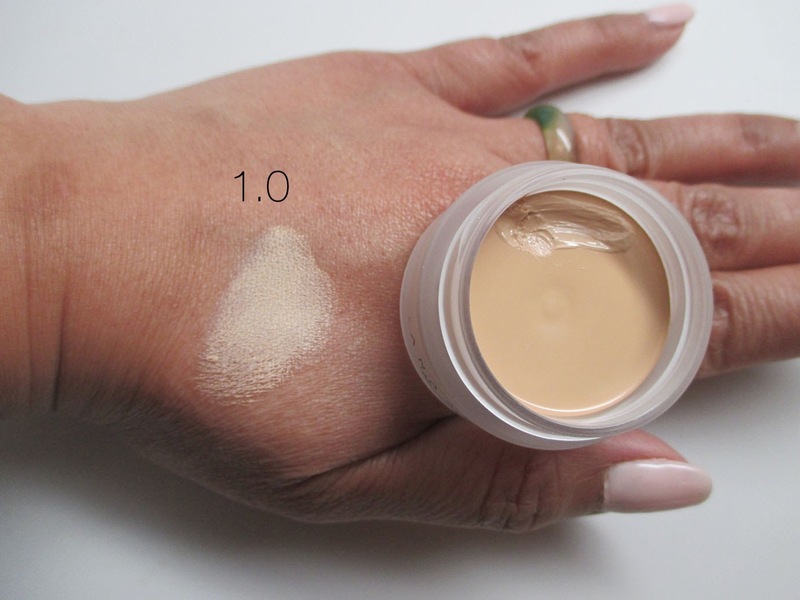 It can be trickier to use because it's so intense so apply a little, then pat (not swipe) to blend it into your skin, then add more if you need to. 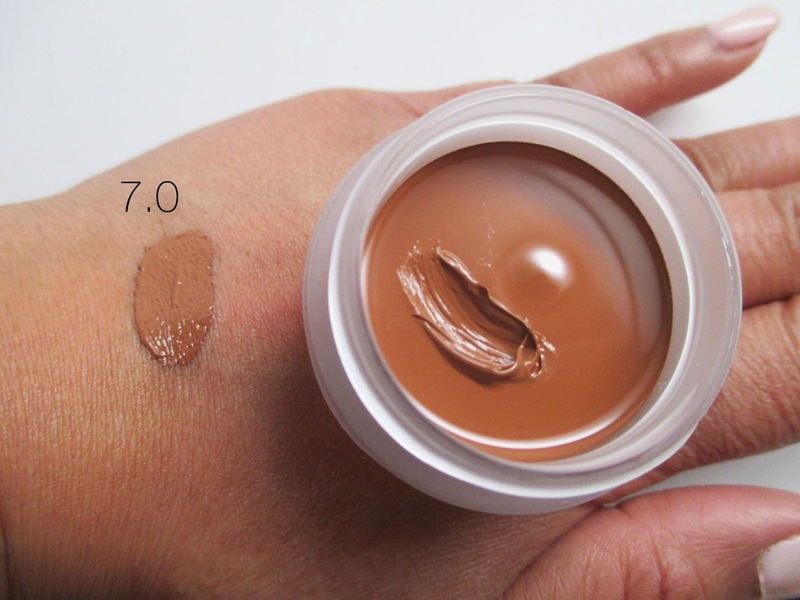 It's not like a regular concealer where you apply a finger tip's worth. If you're using this concealer to sculpt your brows as you'd expect since this is an Eyebrow specialty line, you literally need a pin drop. It helps to get the concealer on the brush and then tap the excess on the back of your hand or a palette so you don't go overboard. I found the shades to be pretty interesting...a mix of warm and cool. As you get into the darker shades they seem to really have made an effort to achieve various undertones - from yellow, to orange and red. 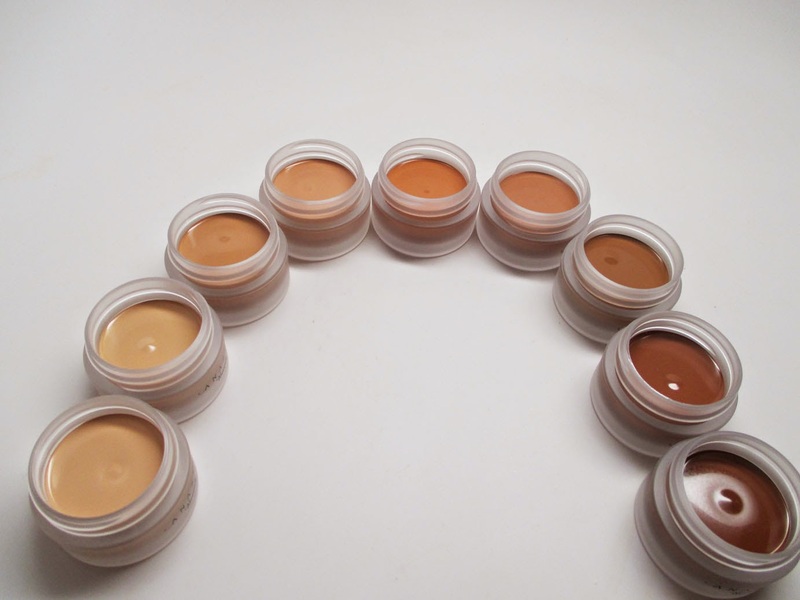 I think i'm going to depot these concealers into pans and place them into a z-palette for convenient use. You only need a little bit so that size would be perfect for my kit. For personal use, I can see this pot lasting a really long time if you're careful to close the jar tightly so it doesn't dry out. Onto the swatches! I received 9 of the 10 shades and the word on the streets is that 7 more shades will be released this month. 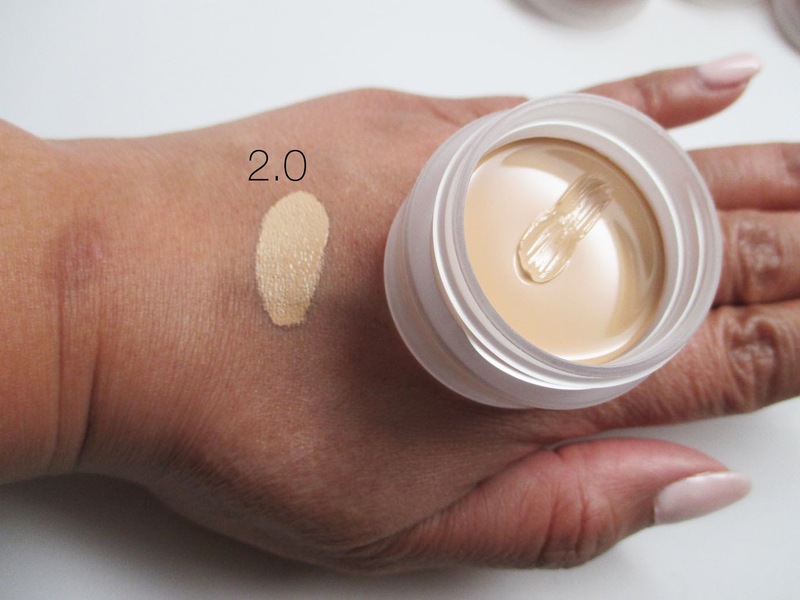 If you're into full coverage products, this is for you. 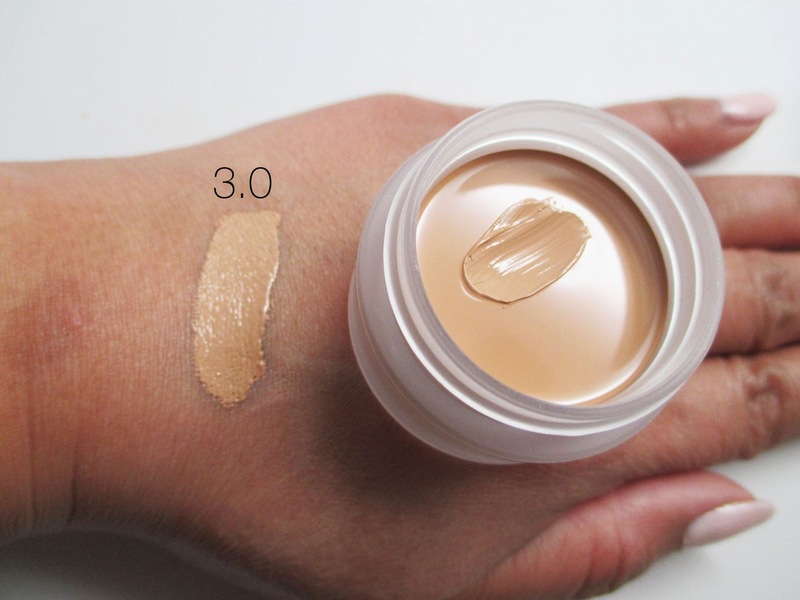 I am personally a more medium to light dewy coverage gal, but I can definitely see myself spot treating with this concealer or mixing it in with moisturizer to thin it out. For my kit, it will be great since it's very versatile with coverage. 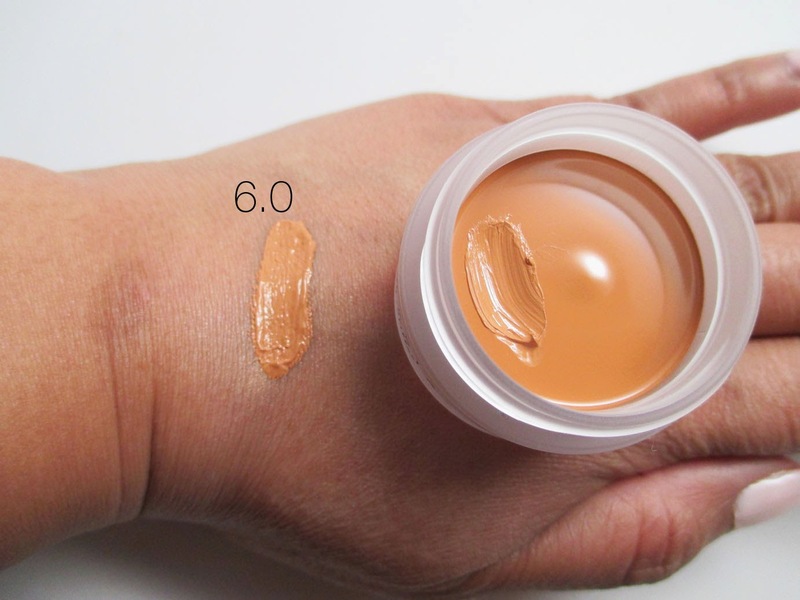 I think it's worth the price if you're looking for a really good, pigmented concealer. If you have pretty good skin, this probably isn't a necessity. I wish they had this available at Sephora so you could swatch the shades since they're not typical. However, if you're at a Makeup Trade show I definitely recommend you give them a look! 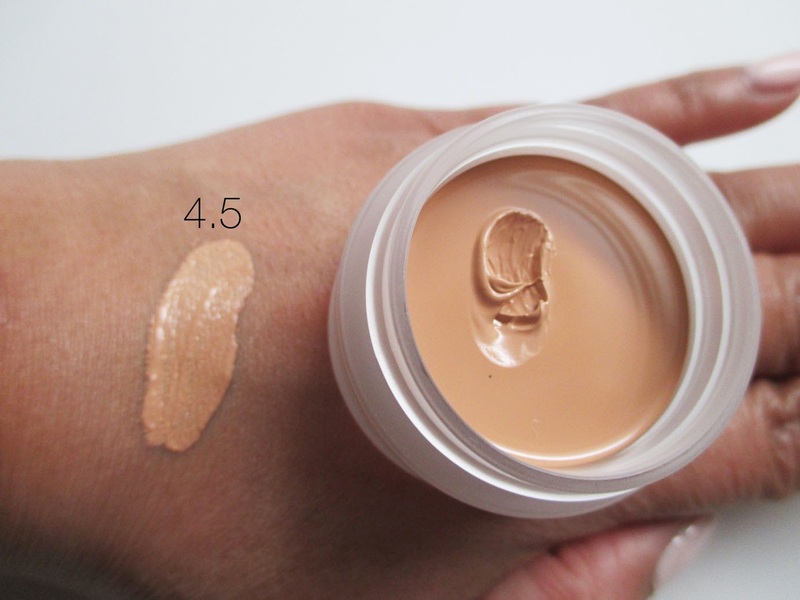 What shade would you recommend if I usually use NC 42 concealer from mac?